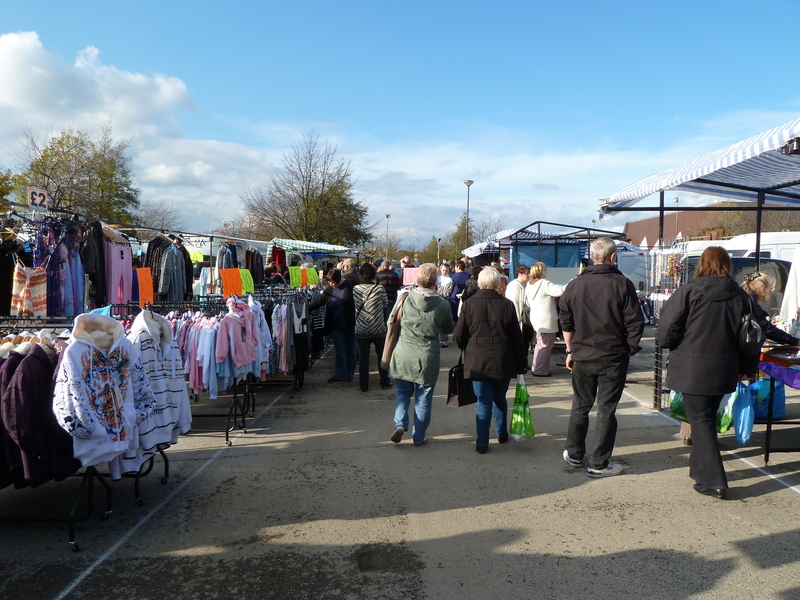 Yesterday afternoon, I decided to take a stroll into Brownhills to check out the latest incarnation of Brownhills Market, this time by market operators LSD promotions, who also run the Bescot Sunday Market in Walsall. There had been excellent reports from readers and in the local press, and I wasn’t disappointed. At the relatively late hour of 2pm, cars were queueing park and the market itself was back up to full size, occupying the same space as it did in the old Spook Erection days. When Walsall Council first tried to resurrect the event, it was clear from the outset that it was doomed; the pitches were dead, the layout was poor and the public showed little interest. I struggled to get behind the thing, but it was clear that it would take organisers who believed in what they were doing and had some experience if the thing was ever going to fly again. Walsall Council’s catalogue of errors and amateurish management was never really going to cut the mustard, and they knew it. I was initially quite sceptical when I saw the plans to raise the market from the dead again, and I’m still unclear as to the motivation behind it, but it’s nice to see the authority acknowledge their previous abject failure and pass the baton on to someone with a clue. LSD have clearly worked hard to get a variety of traders – from Jewellery to sweets, from meat to motor accessories. 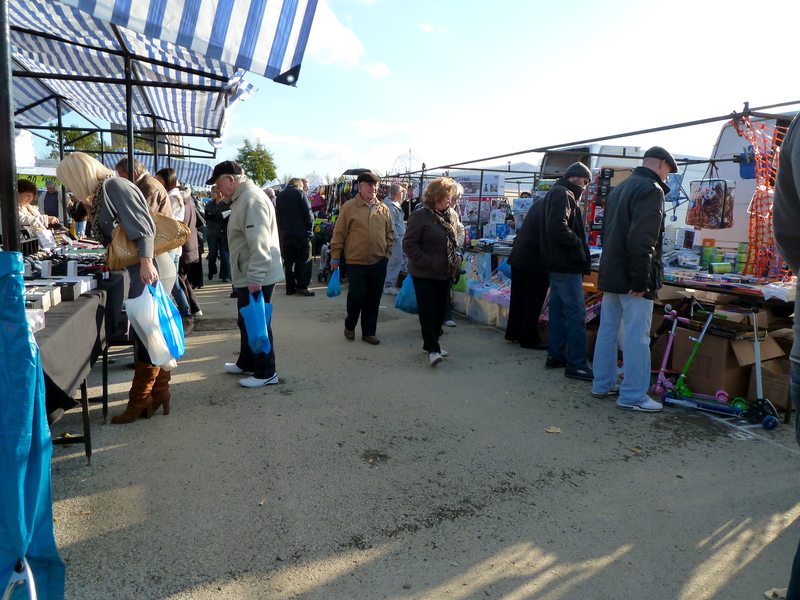 Clothes stalls were present in number, as were fast food vans and a variety of specialist traders. There were a couple of empty pitches, but in a more logical layout, these didn’t seem so bad. Whats more, there were people. Loads of them – Brownhillians were out in force. Compare the photos below with the first of the council markets a year ago; there’s no comparison. If the momentum can be maintained, Brownhills market can be good again. 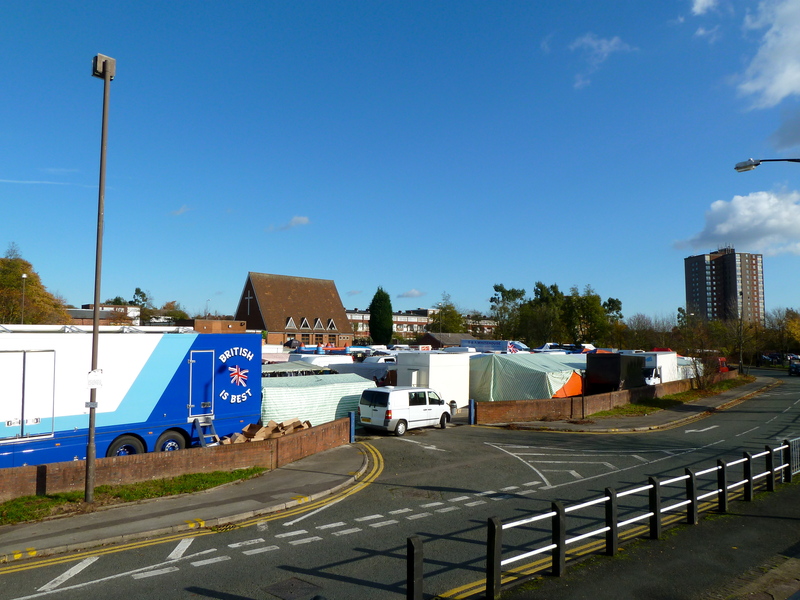 A large market returns to Brownhills - clearly run by people who know what they're doing. 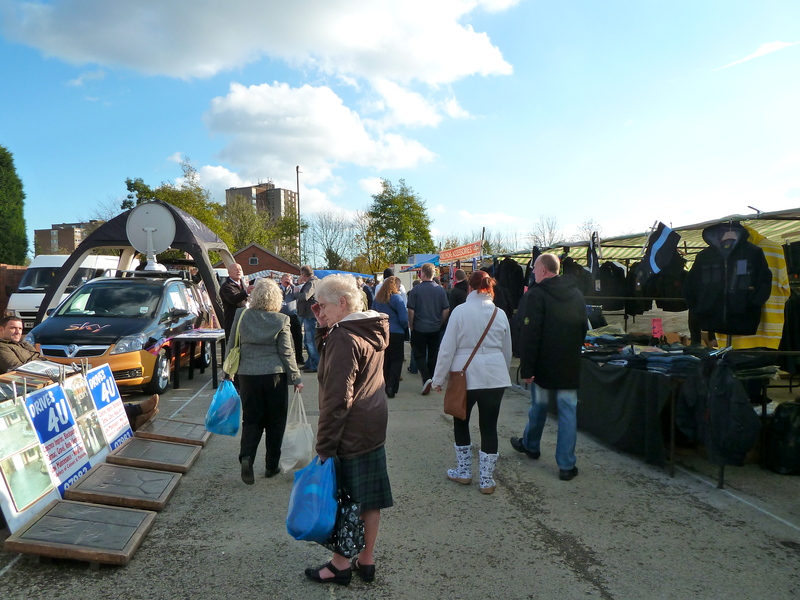 I didn't get there until mid-afternoon, but it was still busy, and folk did seem to be spending. There were a couple of empty pitches, but nothing like as bad as previously. The weather helped, but this seemed well run and managed. This entry was posted in Brownhills stuff, Environment, Events, Followups, Fun stuff to see and do, Interesting photos, Local media, Reader enquiries, Shared media, Walsall Council and tagged Brownhills, Brownhills Market, Brownhills Market Relaunch, Brownhills Saturday Market, Brownhills Thursday Market, Cheap tat, LSD Promotions, planning, Sppok Erection, Walsall Council. Bookmark the permalink. You are bang on here Bob. 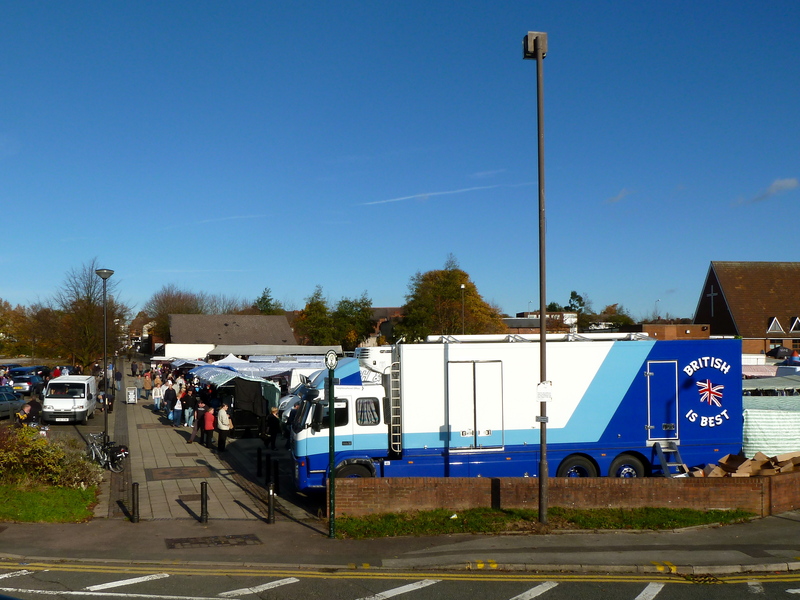 Brownhills Market was buzzing on Saturday as was the high street. Well done LSD Promotions for giving us a taste of how the market used to be years ago. Shame on the council for messing it up in the first place last year.